I have created new payment charts on XPlan.ca. I actually had these on the site years ago on an older version of XPlan.ca and thought I would put them back on again. These charts are a great tool for figuring out your budget for a new or used vehicle. UPDATE: April 2nd The 0% rates on selected Lincoln models continues. There are now rebates of up to $14,000 available. If you live in York region or Toronto contact me for details. Lincoln Canada announced today the new incentives for the 2013 Lincoln MKX which are availble to the public and XPlan customers. The 2013 model will have 0.99% for 36 months, 1.99% for 48 and 60 months and 4.99% for 72 months. The Lincoln Costco reabate of $1,000 applies as well. For details on the other vist this link for details on other lincoln vehicles and the Lincoln rates and rebates. If you qualify for the XPlan or if you don’t, contact me to purchase your new 2013 Lincoln MKX. UPDATE: February 2nd 2012 – Toronto, York Region; Lincoln Canada has committed to the continued support with its current Lincoln rates and rebates offered to Canadian customers. The 2012 Lincoln MKZ, MKX, MKS, MKT all have 0% financing up to 60 months and a lease rate of 0% up to 48 months. Lincoln is also offering a $1,000 pre-tax rebate on the Lincoln MKT. The Lincoln Navigator has 4.99% financing up to 60 months and a $4,000 pre-tax cash back. In addition to the fore mentioned incentives, the Lincoln Costco rebate can be applied to your purchase or lease. Visit this link for the 2013 MKX rates and rebates. The $1,000 Costco Rebate is still in effect and the sign up date has been moved to January 31st 2012. This means that you have to have been a member since January 31st. UPDATE: April 2nd 2012 Changes in the Ford incentives include the conclusion of the Custom Car & Truck event. The Costco rebate is back and some models have enhanced cash backs. Contact me for details if you live in York Region or Toronto. UPDATE: February 1st 2012 Toronto and York Region – February 1st, Ford of Canada announces new Ford incentives. During the month of February 2012 the new program that will offer customers up to $7,500 in rebates and subsidized interest rates. The F-Series accessories program is back on which means that you can get up to $1,000 in accessories for your F-Series. With Ford cars there is a $500 credit for accessories or $500 cash back. There is no cash alternative for the F-Series. XPlan pricing can be used with all these new Ford incentives. If you live in York Region or Toronto, contact me to get your XPlan pricing on the Ford or Lincoln vehicle you are interested in. In addition to these new incentives, the Ford Costco rebate is back on most Ford and Lincoln vehicles. 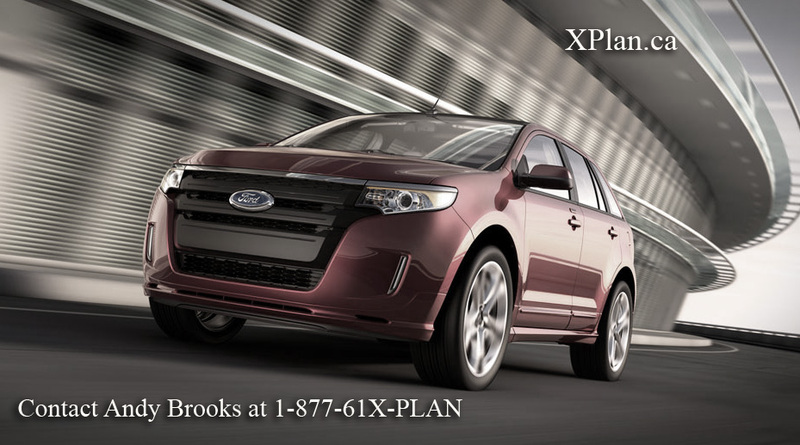 For X-Plan customers this is a great opportunity to get great deal on a great Ford or Lincoln vehicle. See what other customers are saying about me before you contact me. Any Toronto or York Region residents can contact me, not just XPlan customers. Ford of Canada announces the new incentives for each month or quarter usually at the beginning of the month. There are various programs that Ford brings back from time to time like the Costco Rebate, the Ford Winter Safety Package, the Ford Employee Pricing Event and the Lincoln ClubLink Member Offer. There are usually a wide range of delivery credits for Ford models and interest rates as low as 0% on selected models at various times through the year. The Recycle Your Ride program is another offer that comes and goes from time to time. The current incentives from Ford are so extensive from vehicle to vehicle and model year and change so frequently these days I ask you to contact me with your questions on the vehicle you are interested in as there are just to many variations to post here. Toronto and York Region customers only please! Share our Pride, Share our Price. Ford Employee Pricing is an event that happens once a year. For 2012 the Ford Employee Pricing Event will start June 14th and end August 31st 2012. Here are the new features for this year’s event. For every 10,000 vehicles sold Ford of Canada will award one of the vehicles free. To date Ford of Canada has sold more than 314,000 vehicles during Ford Employee Pricing so there are many chances to win. Important note: the earlier you purchase during the 2012 Employee Pricing the better the odds you could win as your name stays in for the duration of the event (or until you win). Also this year the cash backs are very large so the pricing and payments on many vehicles are outstanding. You will soon hear the ads on the radio and see ads on TV about the 2012 Ford Employee Pricing which is the most successful promotion in Ford of Canada’s history. The one side effect of this program is that the inventory of popular Ford and Lincoln vehicles get bought up quickly and if they are at the end of the model year you may (most likely will) find it hard to find the vehicle you want. If you are thinking about purchasing a vehicle in the next couple months, do it now to ensure I can find a vehicle for you in Ontario. This saves you the out of province shipping charges. XPlan.ca UPDATE: View the current Ford incentives and offers and the current Lincoln incentives and offers. Both links are updated regularly. Thanks fior visiting. Ford of Canada announced today that the Employee Pricing Event will be extended to September 30th. Also, the Costco rebate is back on most 2011 2012 Ford and Lincoln vehicles. Please contact me to setup a time to meet and take advantage of these new Ford and Lincoln incentives.